Prevent bullying behaviour before it becomes a problem. 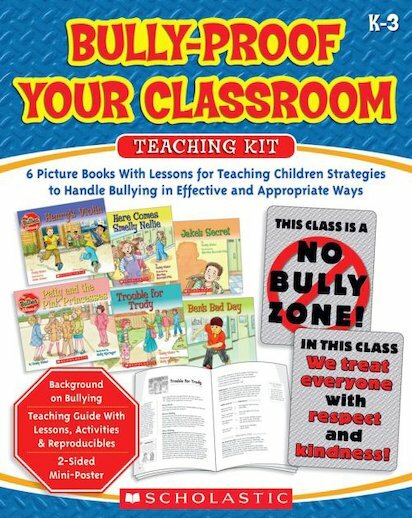 This unique teaching kit includes six full-colour picture book stories that teach young children about bullying in an age-appropriate way. Each story addresses a different aspect of bullying, especially in a classroom context. There’s also a two-sided poster and a teaching guide with background information, lessons and reproducible activities. A great way to help children deal with bullying of all kinds. Ideal for use at K3 level.